9 selections arranged for easy piano from Disney's big 2016 release featuring songs from Lin-Manuel Miranda. 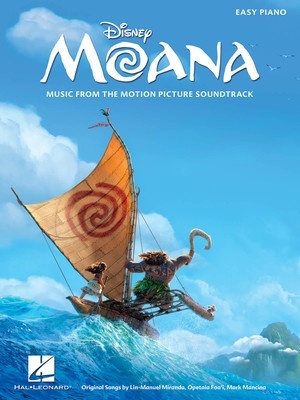 Songs include: How Far I'll Go • I Am Moana (Song of the Ancestors) • An Innocent Warrior • Know Who You Are • Logo Te Pate • Shiny • We Know the Way • Where You Are • You're Welcome. This souvenir folio also includes beautiful full-color scenes from the film.